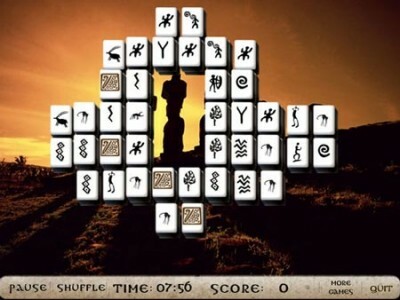 This is the popular Mahjong game but with Moai theme. Feel the glory of the ancient tribes on the Easter Islands. The gigantic stone Moai heads are grand and mysterious. We can only guess how these statues were built and we offer you an enjoyable mahjong game based on the legend about the Rapa Nui people.